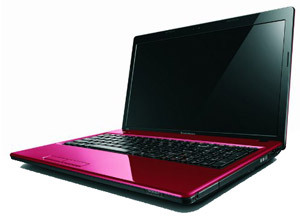 Lenovo G580	Cheap Core i3 Laptop 15.6" Intel Core i3-2328M 2.20GHz, 4GB RAM, 1TB. Built to last and ultimately affordable, the Lenovo IdeaPad G580 laptops, featuring up to 2nd generation Intel Core processors, assure that users have all of their essentials in one place. With stereo speakers and an integrated DVD reader/writer, these laptops are great for basic multimedia and everyday computing tasks. Additional features such as the OneKey Rescue System provide additional peace of mind and help you to do more. The Lenovo IdeaPad G580 features the 2nd generation Intel Core family of processors, including the intelligent Intel Core i3 processor. When fast performance is needed for demanding tasks, the Intel Core i3 processor is the ideal choice. Users get a laptop with amazing performance and stunning visuals due to Intel's Hyper-Threading Technology. You can also enjoy your multimedia on the big screen by using the built-in HDMI port to hook your laptop up to a HDTV, monitor or projector - ideal for sharing your favourite videos and movies with friends. The 15.6-inch widescreen display can display your favourite movies and games in HD 720p resolution. Whichever Lenovo IdeaPad G580 you choose, inside you'll find fast DDR3 RAM to help your laptop handle the most demanding multitasking. You'll also find a large hard drive perfect for storing your files and favourite multimedia. You'll also find that the IdeaPad G580 features an optical disc drive, to allow you to easily watch your favourite DVD movies, install your favourite games, or transfer files. You can also safely back up precious files onto a blank disc using the writing function, making it easier to protect and transport your media. 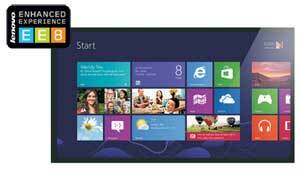 Enhance your Windows 8 experience with the optimised software and hardware features of Lenovo EE8. Enjoy and share the music and films you love with others, without the need for headphones. The IdeaPad G580 comes with two built-in stereo speakers, allowing you to enjoy great quality sound without wires. Created specifically for the Windows 8 OS, Lenovo has combined hardware and software features to create Lenovo Enhanced Experience 8. The AccuType keyboard is stylish, ergonomic, and will make typing easier. Exclusive Lenovo Content - Discover all the amazing things you can do with exclusive tools from Lenovo. Learn how to get the most from your PC with Lenovo Companion or monitor your system performance with Lenovo Support. Lenovo keeps you up to date and delivers music, game and video content you can't get from anyone else. A World of Apps - Discover and download thousands of apps. Choose from Microsoft's Windows 8 store or Lenovo's curated collection of optimised apps. Back-up and recover valuable data easily with the OneKey Rescue System. The IdeaPad G580 laptop is the perfect computing solution for a user looking for style and a little more flair than the traditional black or grey machine. The IdeaPad G580's design is not the only thing that makes using it a memorable experience. The IdeaPad G580 laptop comes with multiple features as standard, all combining to make usability as intuitive as possible, including an AccuType keyboard. The AccuType keyboard you'll find on the Lenovo IdeaPad G580 is designed to help easy cleaning and maintenance and avoid the accumulation of dust and crumbs over time. The finger-friendly curved key shape and ergonomic spacebar will work together to make it easier to type and reduce the number of typos, wherever you find yourself working. Finally, the diamond-cut keypad is the very emphasis of sharp design, giving the whole layout of the IdeaPad G580 an attractive and pleasing appearance. Lenovo Energy Management 7.0 will help you get the most performance out of your battery. You can rest at ease knowing OneKey Rescue System is there to simplify data backup and recovery, allowing you to focus on using your computer instead of worrying about its maintenance. 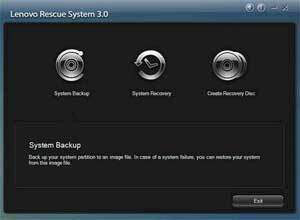 With the touch of a button, users can restore the system and recover valuable data - the OneKey Rescue System also recovers essential system files in the event of corruption, and can be used to initiate a virus scan before entering Windows. You can also ensure that your data is always protected with DirectShare, which easily synchronises your files to another machine without connecting to the internet allowing you to have a copy of your data on another machine. With Lenovo Energy Management 7.0, users are able to run their machine in a variety of different modes, depending on their needs. 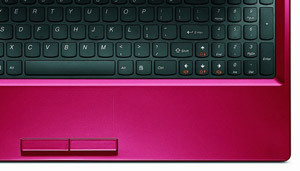 Power-Saver mode allows laptops to run exceptionally quietly with reduced fan noise. Balanced mode auto-detects user behaviour and knows when to run in a lower performance mode, allowing increased energy savings. High-Performance mode utilises a combination of high performance and thermal solution to increase performance levels. Users can also protect and prolong their battery health by using features such as battery protection mode and battery gauge. Lenovo's energy management system can even monitor laptop behaviour and remind the user to choose battery modes that best suit their style of usage, thus extending the life of their battery. 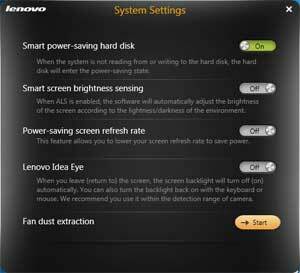 Lenovo's Thermal Management System makes it easy to monitor the temperature of your laptop and allow it to auto-adjust the fan-speed, assuring your computer is kept at the optimal temperature whilst producing the lowest possible noise. This system also features a de-dusting mode to boost maintenance and ensure the high performance of your laptop continues.